Robert Blau, more commonly known as BB, started his career in a manufacturing factory as an assembler. By the age of 27, he was daydreaming and counting the days until retirement from the factory. All that changed after BB had a talk with a good buddy. His friend had just started working at Schneider as a truck driver. This conversation set the wheels of a new career for BB into motion. Since then, BB has worked in multiple divisions, traveled throughout North America (48 states and all territories in Canada) and driven millions of miles. Why did BB join Schneider? When asked about his favorite place in the country, BB explained that his treasured place will always be home near family; however, he feels like he retired 40 years ago and became a paid tourist. Although BB loves his job, he recognizes that being a truck driver is not easy. BB currently works in the bulk division and is responsible for hauling chemicals. Every day is different on the road, but a typical day might begin with a load assignment. “I pick up the empty trailer and do pre-trip preparations to make sure the trailer is safe and ready for a load." Following preparation, BB takes the trailer to the shipper to pick up the load and heads out on the road. As BB is an over-the-road driver, his assignment could range from 300 to 3,000 miles. Once the haul arrives safely at the destination, BB oversees the unloading process. BB also has the privilege to work in house and train a couple of months a year. He has a lot of experience and knowledge that he wants to pass along to future drivers and loves training almost as much as being on the road. Apply for a job at Schneider and put your truck driving skills to the test. Do you have dreams of traveling the country? 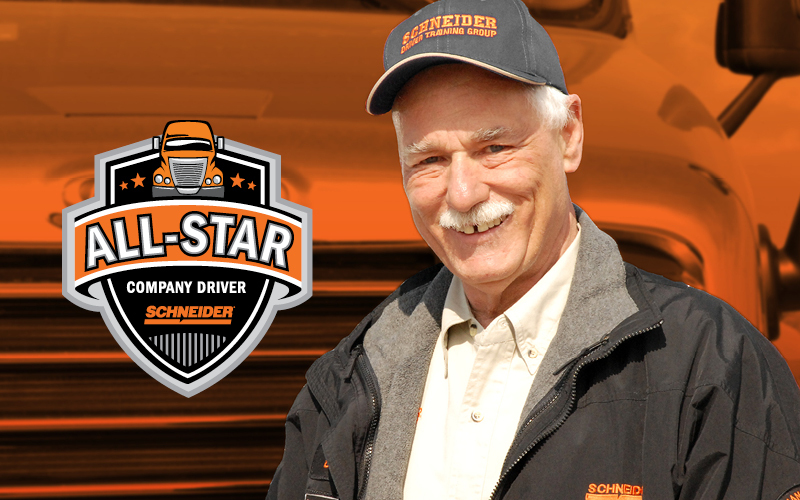 Comment below any questions you may have about driving for Schneider.